According to tradition, the first year anniversary gift should be paper, whereas its modern counterpart is the clock. Thankfully, there are more ways than one to utilize the custom. From wall clocks for your beau’s new office to a framed love letter, let’s take a peek at different first year anniversary gift ideas! Before we dive into the presents, let’s learn a little bit about where these customs actually stem from. Paper is a symbol of those in the still fine, beginning stages of marriage. Still on a high from being newlyweds, these couples may have no even encountered many of the true highs and lows that come with this type of commitment just yet. And a paper gift represents both the strength and delicacy of a fresh marriage. As long as you provide care to your paper, it’ll last forever. If your neglectful, your paper will rip apart. The clock is a gift idea that’s become a more modern gift tradition. Although, it too, represents the beginning stages of marriage. Just think about time flew during that first year together. That’s what makes a clock such a good bit of symbolism! Spend the time cultivating your marriage and taking care of it, rather than wasting away the minutes. It’s a beautiful reminder. Fill each other hearts with some romantic words written by some of the greatest men we all know and have come to admire. There’s even a passage from Beethoven hidden inside that you’ll want to see! Give the gift of time but also some jewelry too, which you know she’ll love. A pocket watch for your groom would do well too! Of course, a love letter with your very own words would be the most special of all. Unfortunately, we don’t all have the best handwriting though so you can get it customized with some beautiful calligraphy and give as a keepsake! This one combines both gift traditions! Pair the paper with the clock and then hang it up in the kitchen as a constant reminder of how beautiful your first year of marriage was. These roses will last a lifetime and they don’t even need any water. You can also hand make them by following along with the easy tutorial! A personalized, new addition to a home office or a space at work would be a nice surprise. Engraving a name or a “sweet nothing” is just the icing on the cake with this one. Take all of your best memories and photos from Year 1 and turn it into an entire album of memories. Personalize, add memories and quips and have fun creating it from scratch with the software at Shutterfly. It looks like a traditional one but acts like a smartwatch! A great gift idea for both men and women, it’s a bit of a luxury by going this route. 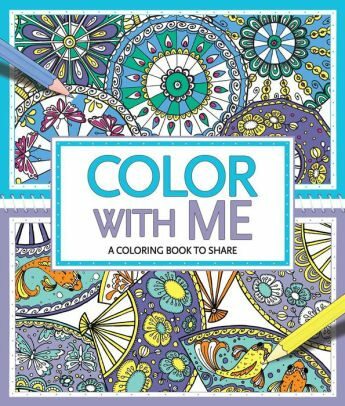 If you’re looking for something a bit simpler, but just as fun, think about gifting an adult coloring book. A relaxing evening wrapped up with some crayons, markers and colored pencils seems to be calling! Here’s another gift that hits both points; paper and clock. And with this one, you can create a date of it! Come together and spend an afternoon making your own paper clock from scratch with some help from this kit. Art prints count towards the traditional paper present too! Of course, there are so many routes to take here – from handmade to copies of your favorite concert posters or classic paintings. A beautiful gift to purchase as a couple’s gift for yourself is a personalized, anniversary clock. Hang it up in your home and as you pass by always remember what it was like to be blushing newlyweds. Here’s another fun, customizable idea that we’re loving. Have a custom portrait of the two of you made. It’s something you can have forever and help to add a loving touch to your home. If you feel like splurging just a bit, why not invest in a gorgeous oak wall clock (or a standing one if you have the space)? This is a great idea if you plan on buying one item together for your anniversary instead of surprising each other with separates. Do you love to travel? Purchase one of these scratch-off maps and start keeping track of all of the places you’ve been, and all of the places you plan to go together. A new iPhone will have a clock, so technically, this is a great choice as well. Indulge a little and buy yourselves some updated devices. Take the song you walked down the aisle to, or maybe your first dance, and turn it into art for your art! Thanks to creative minds out there, they can take the sheet music and put it right on a canvas ready to be hung. And finally, a new Fitbit watch could be another great choice. gmIf you want a nice, functional present, this is a good investment for either of your – or both!